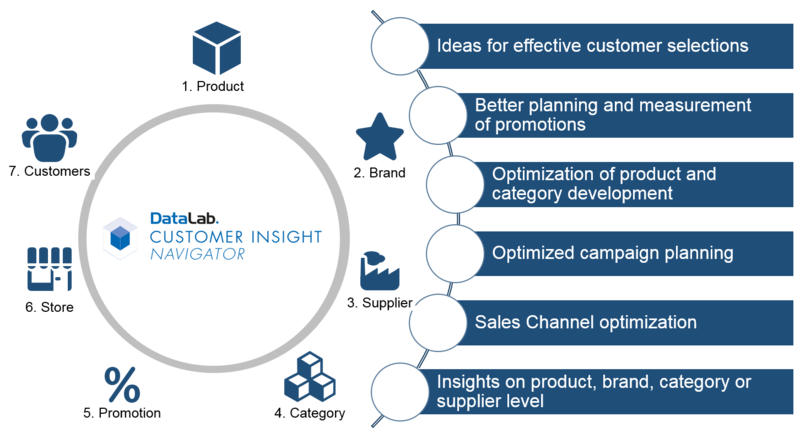 What is the DataLab Customer Insight Navigator? 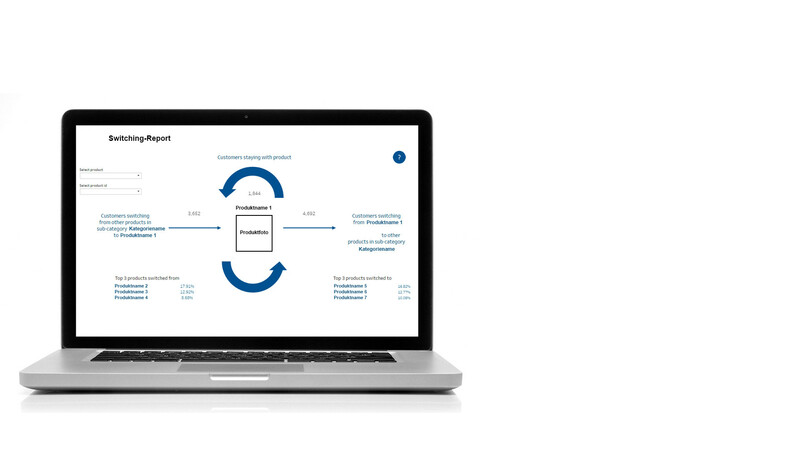 The DataLab Customer Insight Navigator is a web-based platform that visualizes your customer transaction data in the form of dynamic and easily understandable reports. Use the platform to spread customer insights to every part of your organization and allow it to answer business queries in just a few clicks with the aid of clear reports. Optimize all business areas and monetize your valuable customer data for manufacturers with targeted customer group access. 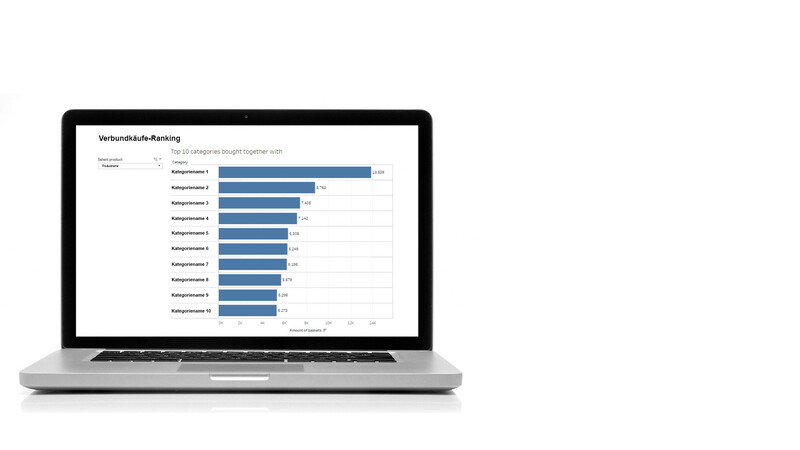 What functionalities does the DataLab Insight Navigator offer? The DataLab Customer Navigator can be easily implemented into your IT infrastructure and offers you a fully comprehensive view of your customers in 7 modules. We customize the platform according to your needs. Choose pre-defined reports from our wide-ranging catalogue or let us design your reports to meet your individual needs. Get the most out of your customer data by utilizing our extensive analytical expertise in this area. What are your revenue drivers? Understand where your revenue comes from. Is it driven by new customers or are your existing customers becoming more valuable? See for yourself what customer groups are buying a particular item more intensely. What categories are bought together with a certain product? See what categories are often bought with another article to discover cross-selling potential or to optimize product range placement. How many loyal customers does my product have? In this report, you will discover how many customers switch to a selected product, remain loyal to it or are likely to buy a different brand later.